NEW IMAGE PROMOTIONS: Mariah Carey For Jamaica Jazz and Blues 2015! 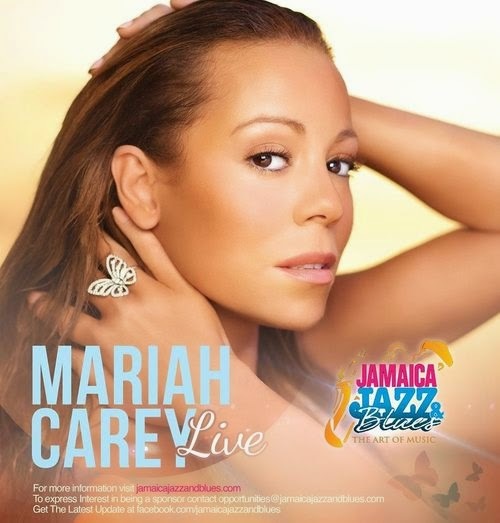 Mariah Carey For Jamaica Jazz and Blues 2015! with my Jamaican fans and I am really looking forward to spending some time 'pon de island" as well" Maria Carey posted on her FaceBook page receiving over 33,000 likes in no time. January 2014, Jamaicans got a treat from one of their favorite R and B favourite of all time, Toni Braxton and have had the likes of they dynamic, Ms Celine Dion. Get ready this one is gonna be another bomber!